Old loom (60s ) still in use. Judogi, Aikidogi, Sashiko: the terminology. The cloths used for Japanese martial arts practice are called "Dogi" (cloth of the way) or "Keikogi" (cloth of training). More specifically you could name them"Judogi" for the version used in Judo, or in the same way Aikidogi, Karategi, Kendogi, etc. As already mentioned in many articles., the term Kimono, incorrectly but widely used in the west, does not refer to martial arts clothing but to the traditional Japanese garment often made of silk. The Gi, 着, is the modern Kanji of the word clothing, and therefore often found in the context of boutiques and brands. However, we will also use the Kanji 衣, with its specific reading "Gi" (by the way little known by the Japanese) but used by the traditional craftsmen to refer to their products. Dogi jackets are usually composed of two types of fabric, the Sashiko (rice grain weaving) on the upper part, and the Hishisashi (diamond weaving) on the lower part. For the pants and the collar of the jacket, a classic twill fabric is used. Note that there are also Dogi entirely tailored in Sashiko fabric (especially in Kendo). The fabric Sashiko, 刺子 (meaning small dots), or commonly known as "rice grain" is anterior to the first martial arts Dogi, it is a a traditional weaving process of which the oldest traces date back to the 6th century where it was used to patch ripped cloths or for decoration. Although many patterns are possible with this weaving technique, it is the simplest, the plain version that succeeded for the manufacture of Judogi and Kendogi and this because of its great strength. The history of the Sashiko is also related to the Aizome dyeing, the traditional decorative dyeing, with its many interesting properties especially for martial arts clothing (e.g. antiseptic, deodorant and coagulant). The Sashiko has the advantage of absorbing liquids well, specially the Aizome dye. In combination with its strength this fabric became the base for the Kendogi. 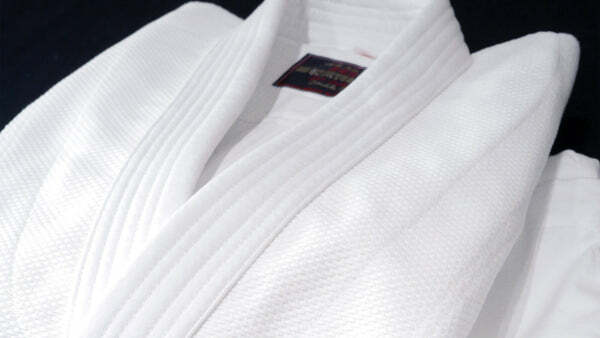 It is hence no surprise that for designing particular cloths for Judo, the Sashiko was chosen: for its strength of course, but also its quality to absorb sweat. Little by little, the Shashiko is also used for Aikidogi, because of the lack of choice. Indeed, the first Aikido equipment manufacturer was historically a manufacturer of Judo equipment (the brand logo was designed by the founder of Judo himself) who was recommended to the Morihei Ueshiba Dojo by Aikidoists having a past as Judoka. As in that time most students of the founder had other martial arts experience and for practical reasons it was the Judogi that got imposed on the Aikido practice. Is it the most suitable choice for Aikido? Everyone has his own opinion when it comes to this matter. Morihei Ueshiba, although wearing himself fine and flexible garment in many of his demonstrations, has agreed to the use of this equipment (or at least let it happen). This said, choosing another type of fabric can also change the way of practice and the study of the art. In fact, the Sashiko is relatively thick, not always easy to grasp and by only spending a few classes wearing a thinner jacket (type Karategi for example) one can realize that it is more difficult to break free from being grasped and it also more difficult for the Tori to move violently because he could easily tear his jacket. Although the Sashiko manufacturing is primarily destined to martial arts equipment you can find it used for other working clothes, traditional garments, carpets, tapestries, and more recently in the manufacture of semi-luxury bags. Historically numerous fibers were used, but today the Sashiko is manufactured primarily from cotton thread. If we talk of "weight", we mean weight per square meter. In Judo this unit has only been used since the creation of the standards for competitions set by the International Judo Federation. In Japanese workshops you would rather say "brin" per meter, which expresses the number of threads used over a width of one meter. In the past it was also common to say the size of the grain using the traditional measurement "Bu". At the time when the Sashiko was still woven by hand, the smaller the size of the grain the more work. Generally, the artisans wove in "2 Bu", equal 6 mm and in "1 Bu", equal 3 mm. The most powerful loom for weaving Sashiko in the world. There are only two of exactly this type existing in the world, both of them are at the KuSakura workshop. There is only one craftsman remaining in Japan who still weaves the Sashiko by hand. These Kendogi could be called luxury products, worth several thousand Euro. All other hand woven Sashiko Dogi are made in China. The amount of time required to weave a jacket is so high that the manufacturing costs in Japan would be higher than the price of a jacket made by a famous brand. Although this is possible for Kendo, where the equipment can attend incredibly high prices, it would be impossible to sell it for Judo or Aikido. Since the Sashiko is made on a loom mechanically, the weaving is usually made of a thickness of 1Bu for martial arts equipment. It is also distinguished between Sashiko "single layer" and "double layer". Double layer does not mean "two layers sewn together" but that the threads are woven on two levels resulting in one thicker layer of fabric. 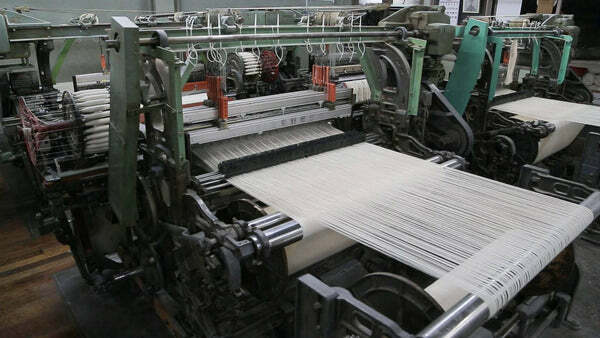 Although the number of cotton threads is not doubled but approximately 1.5 times the "single layer" (thus multiplying the weight by 1.5 on average), the fabric is much stronger because the traction is transmitted on more threads. 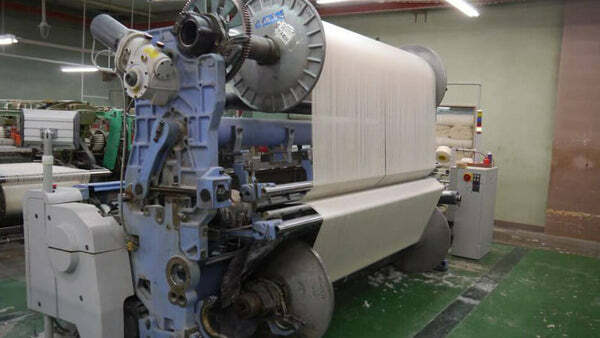 The machine on the picture above shows those two fabric layers (where as the machines for the single layer weaving only presents one single roll, you can see two here). It takes about 5 h 30 (plus one hour adjustment and preparation) for weaving one roll of 36 m of fabric allowing to tailor about 15 jackets. Sashiko fabric roll of about 35 m, before the bleaching process. The Sashiko weaving has many advantages, and the one that is the most interesting for us as martial arts practitioners is the strength. The intertwining of numerous threads on several layers, horizontally and vertically, allows to greatly increase the tensile strength in all directions. The strongest Sashiko fabrics reach a tensile strength of about 3000 Newtons (laboratory-tested), a strength of about 300 kg (higher than the weightlifting world record). At the same time, the Sashiko is relatively lightweight compared to the resistance it offers, and the aeration of the fabric obtained by using a large amount of threads allows relatively fast drying, despite its substantial thickness.This combined with the flexibility of the fabric, and the comfort of the cotton, makes a jacket made of Sashiko weaved fabric one of the best clothing for physical practice, that has to resist strong repeated pulls on the garment. The Sashiko fabric may have loose stitches after the production. 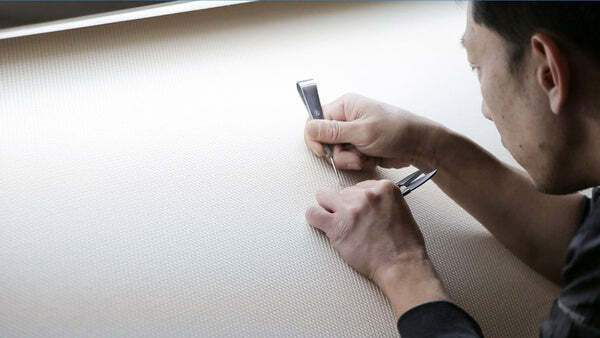 The fabric is therefore checked entirely by hand. Finally, note that 99% of the cotton used today is imported. Japan's cotton production is very low and the costs are too high to used it for regular sports equipment. 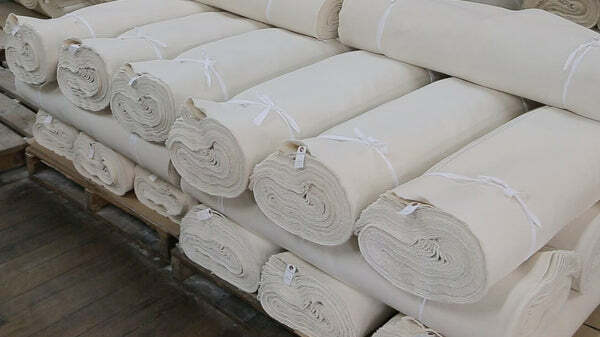 There is indeed a very small production of Mikawa cotton, once used in the manufacture of Dogi, but today it is barely adequate for a limited production of high-end towels. Although there are still unbleached cotton Dogi available, 95 % of the market is represented by perfectly white Dogi. This is called "Sarashi Momen" in Japanese, meaning "bleached cotton". The whitening process itself consists of immersing the fabric in chemical baths containing chlorine derivatives. Depending on the methods, the bleaching takes 3 to 5 weeks. The slowest methods preserve the structure of the cotton the best. This process is quite pollutant and requires a large industrial reprocessing. That is why less and less workshops are willing to do this task (more environmentally friendly alternatives with particular biological treatments are also used, but they are more expensive). This is by the way the main difference talking about the environmental impact between a Dogi "made in Japan" and a Dogi "made in China/Pakistan" because the standards are obviously not the same. Although we do not discuss the purely technical aspects of this process, it is worth knowing three different methods, which have a significant impact on the finished product. This means bleaching the cotton before weaving, resulting in a fabric that is already white. Even though the quality of the obtained fabric is excellent in this case, there is a major drawback: the shrinkage rate is unpredictable. Indeed, the bleaching process makes the fiber shrink and which maximally reduces further shrinkage when washing. However, since the fiber must be woven by being subjected to a strong pull, it is stretched during the weaving process, what reincreases the shrinkage rate in a random manner according to the machine settings. Therefore, this process is rarely used for "Sarashi" (bleached) fabrics. It is though used for "Aizome" (traditional indigo) colored fabric, because the Aizome fades extremely, and this process called "Sakizome" limits that the color rubs off over time. With this method, the finished product will shrink between 6 and 12%, which is quite a lot. (For comparison: The shrinkage rate of products made in Pakistan can exceed 15%). This is the most common method, where the woven Sashiko fabric is passed through bleaching baths. This process has the advantages of being inexpensive, relatively fast and thus facilitates the stock management. On the other hand however, it increases the risk of different tones. If each piece of fabric used for one product is not from the same batch, a further quality control step has to be added (see below) to ensure the matching of the colors. Almost all manufacturers use this process. With this method the finished product will have a shrinkage rate of 3 to 12% depending on the type of product used for the bleaching. (In fact, usually the shrinkage rate is between 3 and 6%). 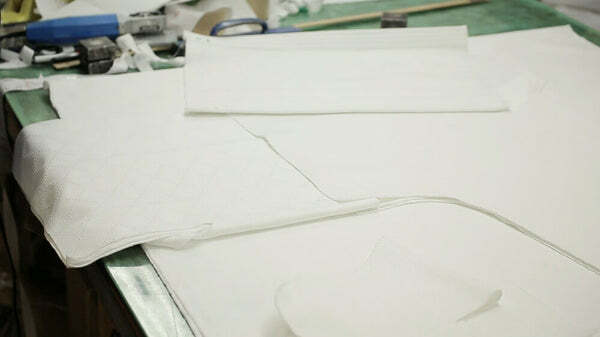 This method is also used for medium quality Aizome products. To avoid color inconsistency between different batches of fabric, it is a must to compare and verify each tone under natural and artificial light before manufacturing. Being less and less used, because of being a nightmare for the inventory management, this method means to bleach the finished product by plunging the Dogi in bleaching baths. This process helps to shrink the finished product to its maximum with a double benefit: tightening of the seams because of the fabric shrinkage (giving it a more high-end appearance) and a maximum overall shrinkage of the product (which facilitates the management of the sizes). With this method, the shrinkage rate of the product sold is less than 3%. Again, this method is used for some average quality Aizome products. In contrast to the bleaching, the Aizome heavily fading, the "Sakizome" presented above is preferred for high-end products. This is where each artisan can promote his skills! It would be possible to write an entire book on the different techniques of cutting and sewing, but this is not the subject of this article. However, it interesting to know the difference between vertical "Tatezashi" and horizontal "Yokozashi" Sashiko. Using the Sashiko vertically provides a softer fabric and thus makes it easier to grasp, because the Sashiko is more malleable (flexible) in the direction of the meshes. That is why the Kendogi are designed like this while the Judogi (where the goal is to make the grasping as difficult as possible for the opponent) are made with the mashes horizontally. Although the manufacture of the fabric itself may sound industrial, it is not quite the case. Numerous types of weaves exist, and each manufacturer has its own standards, its own vision of the fabric he wants to obtain. The amount of Sashiko produced can easily be increased if necessary, however, there are less and less tailors in Japan and the production of Dogi will further decrease over time. There has also been a very questionable technique of importing Dogi "in pieces", sewing them together in Japan (which under Japanese law automatically entitles to label it as "made in Japan"). The tailoring of Sashiko requires particularly powerful sewing machines. Without a doubt, the production of "100% made in Japan" can not significantly increase and therefore, the prices stay high. High-end Dogi are expensive, but its quality, its environmental and societal impact and of course their durability are far from being equaled outside Japan. The durability of a single layer Dogi is on average 1000 hours of practice (or in other words 5 years with 3 classes per week). For a double layer Dogi it is approximately 2000 hours (or 10 years). And to ensure a proper maintenance of your equipment, remember that the Dogi is to be washed at a maximum of 40°C, without adding too much detergent to prevent mold growth. Avoid using bleach (unless it is absolutely necessary) and the dryer that tends to damage the cotton. This article is an enhanced transcription of the article we published in the French magazine "Dragon Spécial Aikido"" HS N°6 (ISSN 2261-1134, September 2014). Published by SeidoShop on March 04, 2019 . Our Sashiko fabric is made by a small workshop close to our own atelier. I can already tell you that they won’t sell you any fabric, which, unfortunately, would also be the case of all the other workshops we know in Japan (that is about all there are). Japan has indeed a very low production; 95% of the martial art equipment is produced in China/Pakistan and there are only a handful of workshops left in Japan which can produce this kind of fabric. Sadly, none of them will sell per meter, especially to ship abroad. Depending on what you want to do with it, you might want to try and contact some Chinese companies. They would probably be more willing to make a deal, but I doubt they would sell Sashiko by meter. Published by AJ Black on March 04, 2019 . Wonderful article! I’ve been trying to find where to find this type of fabric for sale but to no avail. Is there a difference between this and sashi-ori? If you had any ideas of Japanese sites I could search, or anything, I would be really grateful. Published by E de Ruiter on October 21, 2018 . I am specifically interested in the weaving structure of rice grain fabric. Is there a drawdown avilable? I guess it is a double weave. Published by Jordy Delage on October 22, 2018 . In reply to E de Ruiter. Yes indeed, it’s usually double weave. 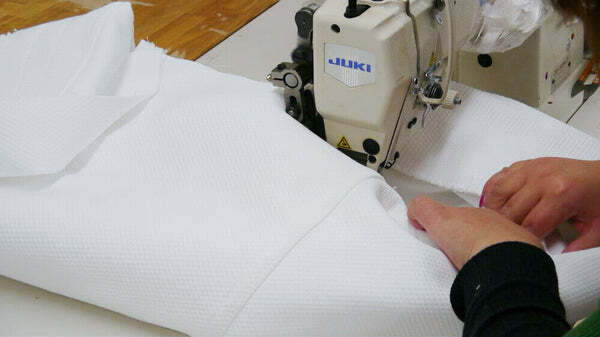 Single weave also exists, especially for the lightest fabric, mainly used for Aikido equipment, but Judogi are usually made from double weave fabric. I wasn’t able to pull any specific schematics on the fabric, but Japan is using its own system, so… I don’t know.